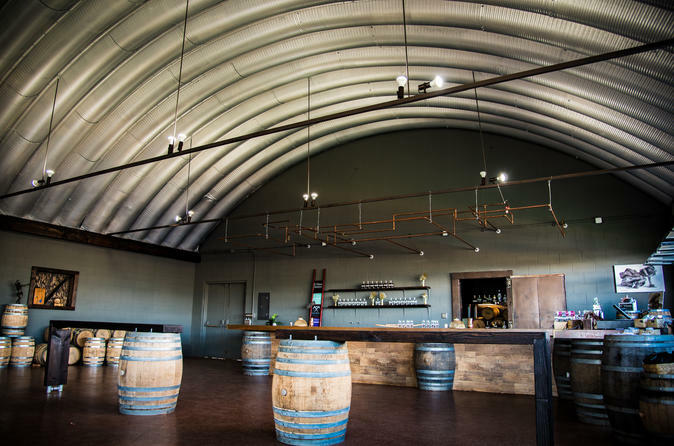 Visit Oahu's first and only rum tasting room with an attached farm and distillery. Located in historic Kunia, the renovated general store of the retired Delmonte Pineapple Plantation welcomes you on this 50-minute, fully guided tour. Enjoy a glass of fresh pressed cane juice, check out the observation deck, walk through a garden of native Hawaiian sugar canes, and finish at the tasting bar, which includes four different rum tastings and a souvenir glass. Begin your 50-minute guided tour with a glass of fresh pressed cane juice made from native varieties of sugar cane brought to Hawaii by the early Polynesians. Head over to the observation deck, which offers views of Diamond Head, Pearl Harbor, the Waianae Mountains, and even one of the island's largest aquaponic farms. Continue on and wander through a garden of native Hawaiian sugar canes while learning about their history and place in Hawaiian culture. Afterwards, head over to the front of a custom rum still and discover how native Hawaiian sugar cane is distilled into one of the finest agricole rums in the world. Lastly, you will finish at the tasting bar. Here you will have the opportunity to compare four rums side by side before concluding your tour. There is a maximum group size of 25 to help ensure the intimacy of this tour.